icunet’s assessment toolss measure and analyze these essential characteristics. They help provide an objective picture of an employee’s strengths, development potential and work preferences in the intercultural context. These diagnostic instruments have been designed to assist in employee selection and identify areas in which your employees would benefit from training. icunet provides concrete advice on how you can develop your employees’ skills to best prepare them for their work and tailors all subsequent coaching and training content to the precise needs of your company, staff and project conditions. The assessment tools offered by icunet help you choose employees who are most suited to successfully cope with the challenges of an international assignment or global project. 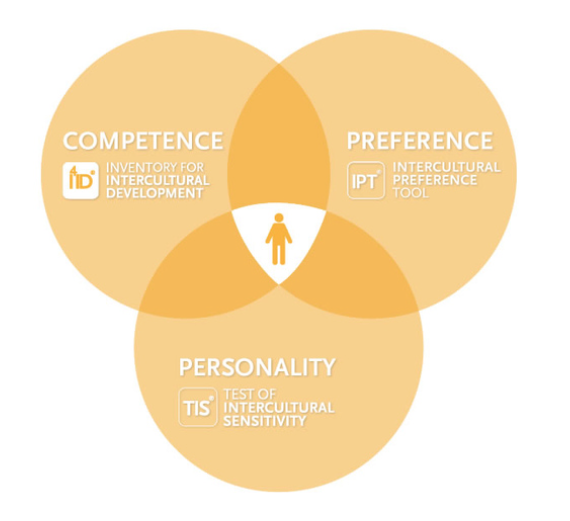 icunet offers four online psychological tests: the Test of Intercultural Sensitivity (TIS®), the Inventory for Global potential (IGP), the Intercultural Preference Tool (IPT®) and the Inventory for Intercultural Development (I4ID®). These complement one another and can be used globally to facilitate personnel selection and development. Our range of intercultural assessment also includes further modules such as an assessment center, development center and selection interviews that are tailored to your respective requirements. Whether selecting international qualified employees, executives or young talents, distributing international positions in the country and abroad, or choosing the right expatriates – a thorough diagnostics of intercultural management enables secure HR decisions ensuring the right person is in the right place. With the intercultural development center or intercultural assessment center, you can identify a candidate’s strengths and areas for improvement. This allows you to make effective and objective decisions and offer targeted further training and support where necessary. The multi-stage assessment procedures from icunet are based on individual, position-specific requirement profiles developed in cooperation with you and are modular in format. Thanks to a standardized procedure, independent evaluations from trained observers and scientifically sound tests, you can have greater confidence in your personnel decisions. These tools allow you to provide your current and future specialists and managers the training they need. A psychological appraisal and an individual feedback interview with the respective candidate round off our professional intercultural qualification diagnostics. Take a sample test here!